Our layaway program allows you to spread out the cost of your items or project without having to pay credit card or personal loan interest. 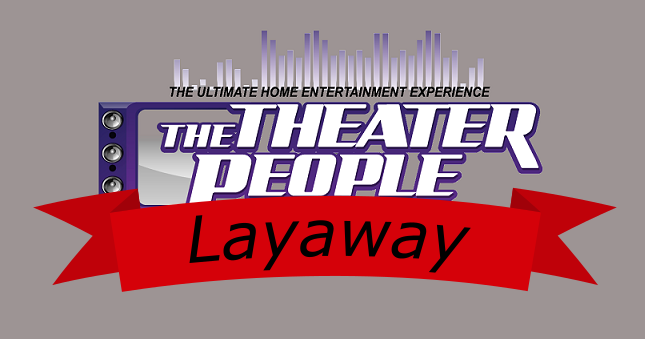 Did you know The Theater People offers a layaway option on both products and services? It's a relatively new payment option, but we chose to keep it simple. You decide how much you want to put down, how long you want to layaway (up to a year), and what time of month you want the payments due. Once you have paid 50% of the invoice amount we will order your products, and once your final payment is made we will then schedule your installation, simple as that. You may cancel at any time, but you must do so in writing. If you cancel within 5 days, you will not be penalized, and all money will be refunded to you. If you cancel after the initial 5 days, all money less a twenty percent (20%) cancellation fee will be refunded.